The Rural Literacy Coalition supports centralized family services through a network of hubs across the rural Tri-County area of Colorado, Matagorda and Wharton counties. HUBS exist or are developing in each county including Matagorda. A local planning committee met to develop a HUB in Palacios and with donated space from the City of Palacios the center opened in February 2014. Under the leadership of The Trull Foundation the HUB task force worked with an advisory board to design the programs of the HUB to meet the needs of the Palacios area in early childhood literacy, health literacy, financial literacy, workforce literacy and family literacy and to remove the barriers to families for meeting their long term goals. Imagine waking up every day having difficulty signing a child’s permission slip for a school trip, filling out a bank deposit form, understanding instructions for a new prescription, or completing a job application. Too many Palacios residents have trouble completing these routine tasks because they do not have adequate literacy skills. Imagine how difficult it is for a child without the necessary pre-reading skills trying to succeed in kindergarten and struggling to keep up throughout all the years of schooling and finally giving up and dropping out! The Palacios HUB is addressing these issues at the root! Until now, there was no centralized location for learning-based education, recreation and family-based activities in Palacios. An array of organizations provide services to children before they enter school or in school, to adults trying to obtain their GED, to individuals in correctional institutions, to the limited English speaking population, and to adults receiving employment training. A coordinated, integrated, well-managed HUB is essential to better serve families as they try to improve their skills in a supportive, efficient, relaxed community center. For such a project to succeed, it must have support from all of us – government officials, funders, the business community, social service agencies, educators, community volunteers, literacy providers and the local families themselves. 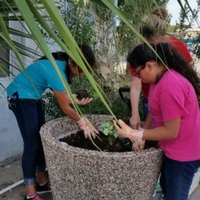 With the collaboration of the Palacios Independent School District and local nonprofits and social service agencies the HUB began providing coordinated services in February 2014. Palacios has a very successful school district enjoying the support of the community but the district cannot provide all the needed services to the community, especially those out of school time services to families that maintain learning success over the summer months. 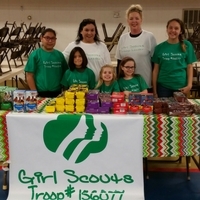 The community is supported by excellent community-based organizations but many services and especially evening and weekend programming is very limited. The following chart shows the types of services that may be provided. A community planning task force has been working together for the past eighteen months to bring community organizations together, to develop a preliminary plan and to explore the possibilities of the space. As activities are introduced into the HUB they will be tracked and measured to determine their long term impact on the community, using a community planning impact model and community input on-going improvement approach. Vicki Adams, Margaret Doughty, Cynthia Garrett, Robert Garrett, Jan Hunter, Carolyn Kubecka, Sally Kurtz, Kay Lawson, Troy Lewis, Vikijane Mosier, Gail Purvis, Sue Stacy, Bill Stacy, and Brandi West. Contact us for information on how you can be a part of our Community Hub. Counseling: Please call (361) 739-3891 to schedule an appointment. Parents as Teachers: Please call (361) 972-9990 to schedule an appointment.